Advocacy, Craft, Handloom, Art, Cultural, Creative Industries, Sustainability, Sustainable Devt. A new framework is emerging through international policy discussions on the role of culture and development. The principles of this new framework are contained within the 2005 UNESCO Convention on the Protection and Promotion of the Diversity of Cultural Expressions. While the broad objectives include preservation of cultural heritage, the fostering of creativity, cooperation, peace and security, the intent is to increase international recognition and support for cultural enterprises and entrepreneurship. What is the place of the craft sector in relation to this new framework? Is it an important focal point or on the fringe of the policy debate? How will its potential be realized within this new context? Craft development issues are familiar to those who have worked for decades with artisans in less-developed countries, supporting communities of women and men by means of technical training, product development, and marketing assistance. Now the language has changed: handmade products are cultural products. Craftspeople and artisans are cultural operators, cultural entrepreneurs. Cultural industries, and the creative economy of which they are a part, include a wide array of economic activities, ranging from crafts through arts, music and film to publishing and the multimedia industry. What cultural industries have in common is that they create content, and use creativity, skill and in some cases intellectual property, to produce products and services with social and cultural meaning. Because the creative sector has the potential to contribute to socio-economic development and poverty alleviation, and is a vital source for the cultural identities of individuals and communities, UNESCO aims to firmly embed the cultural industries within regional and national social and economic goals, strategies and programs. Craft support initiatives have often been framed in terms of economic development, such as poverty alleviation, income generation, women’s empowerment, and sustainable rural development. This approach has emphasized the vital economic benefits of craft development – everything from enterprise and product development to marketing training and trade linkages. A refreshing perspective on culture and development now highlights cultural dimensions of craft activity. 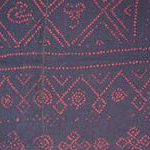 These include aspects such as their value as cultural products, the knowledge, skill and creativity embodied in handmade products, the intangibles of preservation and transformation of cultural heritage, the sustaining of communities and identities of people with shared knowledge, skills and designs. The cultural values of craft, including the creation of new meanings, have a place alongside their economic values and purposes. Over many years, Canada has taken an active role in developing new approaches internationally to promote diversity of cultural expression around the world. The Cultural Heritage Department of the Canadian government has worked with institutions and civil society, both domestically and internationally, including the International Network on Cultural Diversity (INCD), a forum where international ministers responsible for culture explore and exchange views on cultural policy issues and develop strategies to promote cultural diversity. As one of the first countries to ratify the 2005 UNESCO Convention on Cultural Diversity, the Canadian government is funding a Cultural Heritage pilot project on cultural trade technical assistance. A part of this project, and still in its early stage, concerns the identification of Argentine Handcrafts – leather, textile and silver handcrafts from the Patagonia Region – that have export potential in North America. The project will make available Canadian expertise in various cultural sectors to provide targeted export development advice and trade promotion tools. These can include information sharing and the organization of seminars, workshops, mentorship activities pertaining to cultural trade export support. UNESCO’s Global Alliance for Cultural Diversity seeks to strengthen the capacity of cultural industries in developing countries to produce and distribute goods and services and helps them gain access to national and international markets. One important example pertaining to the craft sector is the collaborative initiative between the Global Alliance and the Museum New Mexico Foundation (MNMF) to promote, market and distribute craftwork and train craft workers. This initiative led to the creation of an annual International Folk Art Market in Santa Fe, New Mexico. Since 2004, the Market has showcased the work of artisans from around the world and attracted an increasing number of visitors, up to 20,000 in 2006. Coinciding with this event, a “Training and Building Markets Program” was offered to juried artisans who participated in the Market. A related initiative of the Global Alliance is the creation of the Global Center for Cultural Enterprise and Entrepreneurship in Santa Fe to meet the needs of cultural entrepreneurs around the world for training, ongoing technical assistance and support, and access to policy and funding resources. A new framework for creative cultural enterprise development has been established and within this context, opportunities are increasing for the promotion of the handmade cultural products. Challenges ahead will be the translating of policy achievements formulated in international level agreements, such as the 2005 UNESCO Convention on Cultural Diversity, into effective programs that reach the diverse regions of the world where the need for support to artisans is enormous.